engraved and gilded 24 carat heart. Personalized text. 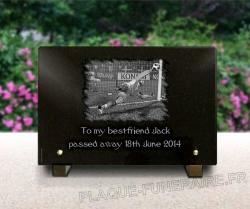 Engraved granite funeral plaque for memorial park, drilled to screw. Parchment and gilded heart. Perfect for a gravestone. 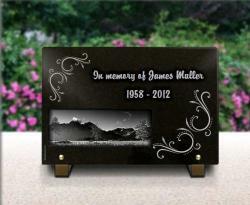 A granite memorial plaque, ready to screw on a tombstone. so as the personalized text and the heart. The heart is engraved, and then gilded with 24 carat gold. Using 24 carat gold leaf is a proof of sustainability, as it is the purest gold ( no copper, no metals)the colour will remain the same. 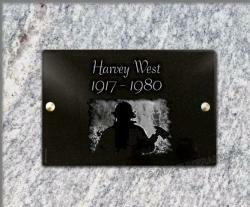 The plaque is drilled twice, on the two sides. Ready to be fixed to a gravestone. 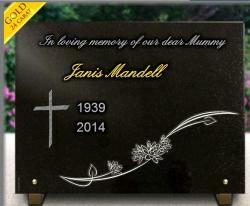 This is a deep black granite plaque. It is drilled on the two sides, at the left and at the right. The plaque is horizontally settled. There is a white parchment at the background, which rolls in the bottom right corner. There are two texts, on at the left with an handwritten writting which is "Whatever I do, wherever I am, nothing erases you, I think of you". The second one is on the left, with capital letter. 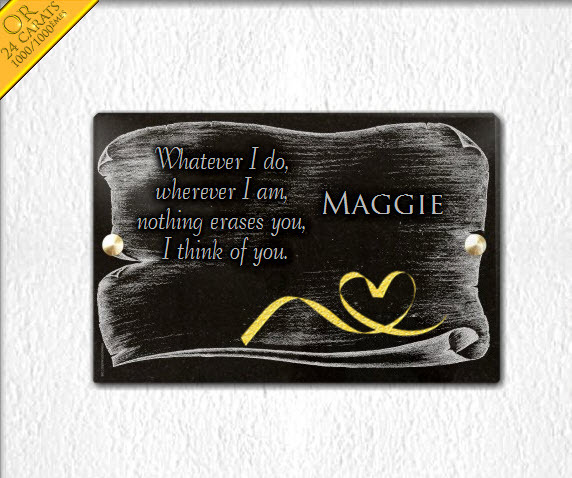 It is the surname "Maggie". Below the name, there is a gilded heart. It looks like a thread creating a heart. 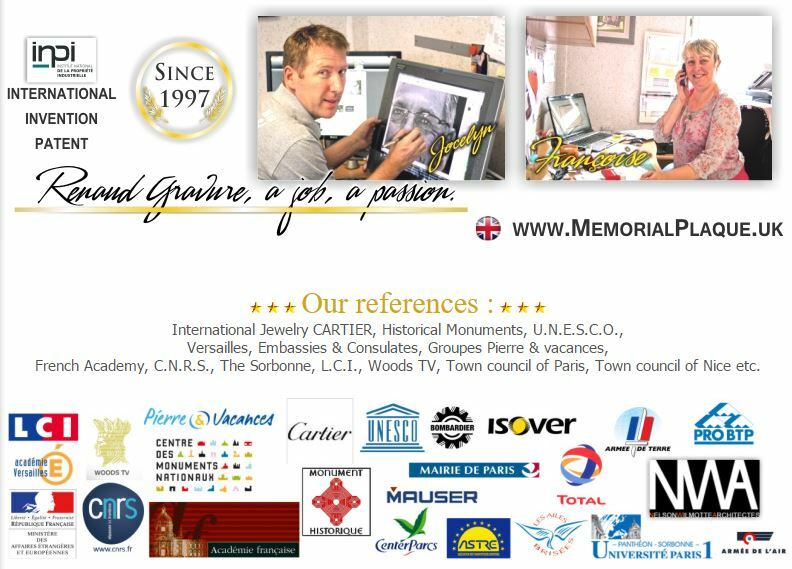 - The plaque : in the software, select " Plates", "black granite plates". Then please click on "Plaques punched to screw on". Finally, click on " Plaques parchment". It is the second one. You can not change the parchment. - The texts: They are separated. - Text 2 : Click on "Texts", then "Create text #2". Please type it. It is the same process. It is style 5. - The heart : Click on the thumbnail "Gilded drawings", "Create drawing #1". In the pop-up window, please select "Hearts in 24 Carat gold". You are then able to change the drawing with the cursors.